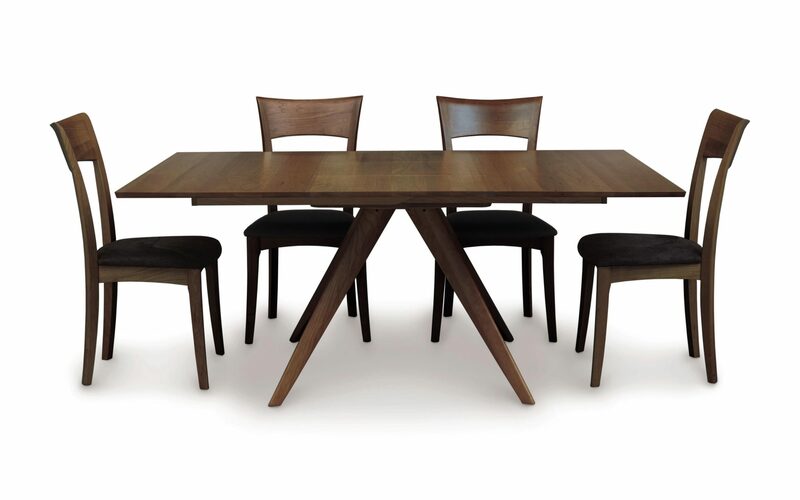 Catalina Square Extension Dining Tables in walnut are available in a 48″ x 48 “and perfect for many different types of dining configuration especially lofts and two bedroom condos. Come see the precision bearing glides and a self-storing butterfly leaf for effortless action. 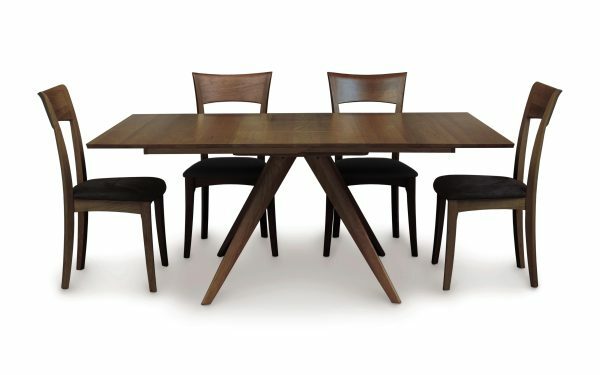 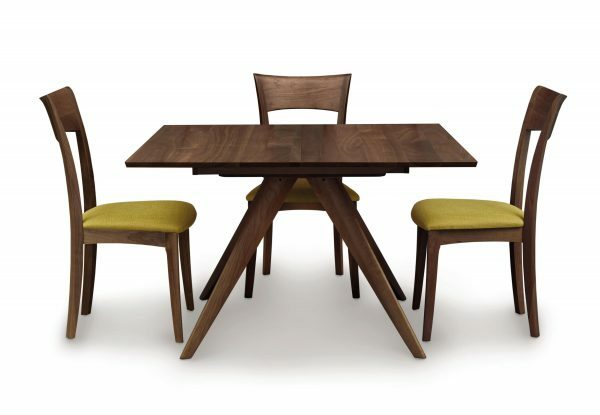 The Catalina Dining Room is crafted in solid American black walnut hardwood and Made to Order.